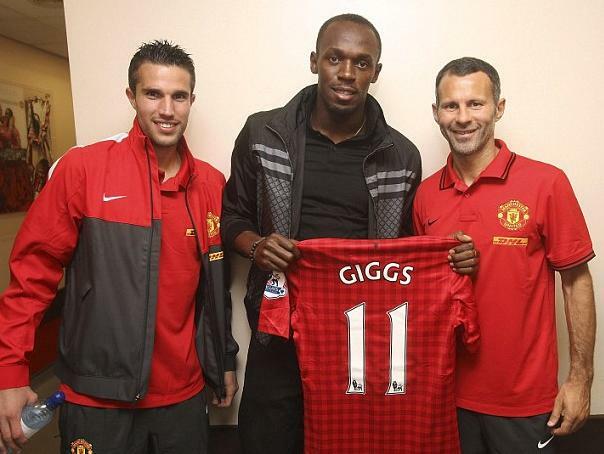 Jamaica's sprint phenom Usain Bolt's dream debut appearance for beloved English side Manchester United has been deferred until some time in the future. The Olympic champ, who had his heart set on lacing up for the club for an August 9 friendly against Sevilla, now totally has in sight the Moscow World Championships, poised to capture the world's attention as of August 10. Bolt (pictured here with Robin van Persie and Ryan Giggs), who is currently in the UK, will next be on track in London at a July 26-27 event. And speaking of supertalented athletes, congrats are in order for ace goalshooter and Sunshine Girl Jhaniele Fowler, who has been voted Best New Talent for the 2013 ANZ Netball Championships, following her amazing debut season for the Southern Steel. Fowler, 23, set a new record for the most goals scored in a single ANZ season. Following the Oscar-winning triumph (Best Original Song for Adele's sublime title track) of last year's Skyfall, director Sam Mendes has signed on to direct the 24th film in the James Bond series, according to Sony Entertainment. The as-yet-untitled picture is due out in November 2015 and will feature Daniel Craig as Bond for the fourth consecutive time, with a screenplay by John Logan, who also penned Skyfall.